The McFarland Hotel was built on the lots just to the west of the 1899 building that the McFarland family had built to house their grocery business. W. J. Scrivner, a local builder, was the contractor. 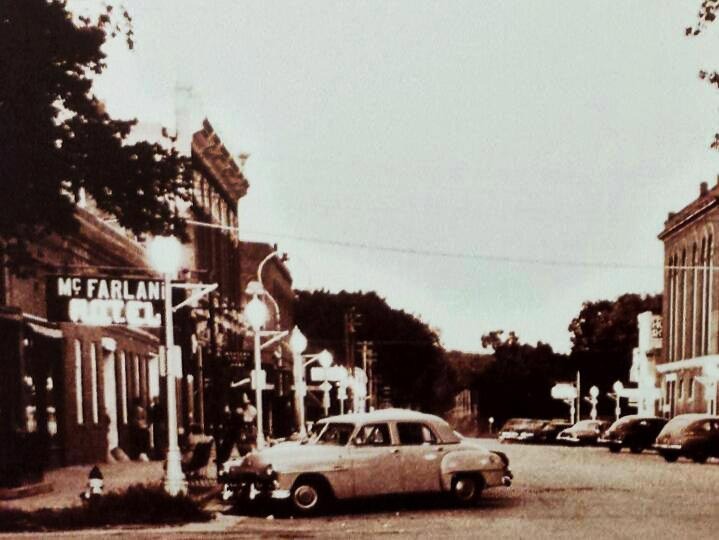 These photographs were taken when the McFarland was owned and operated by Bruce (W.B.) and Grace Frame from 1920 to 1945. 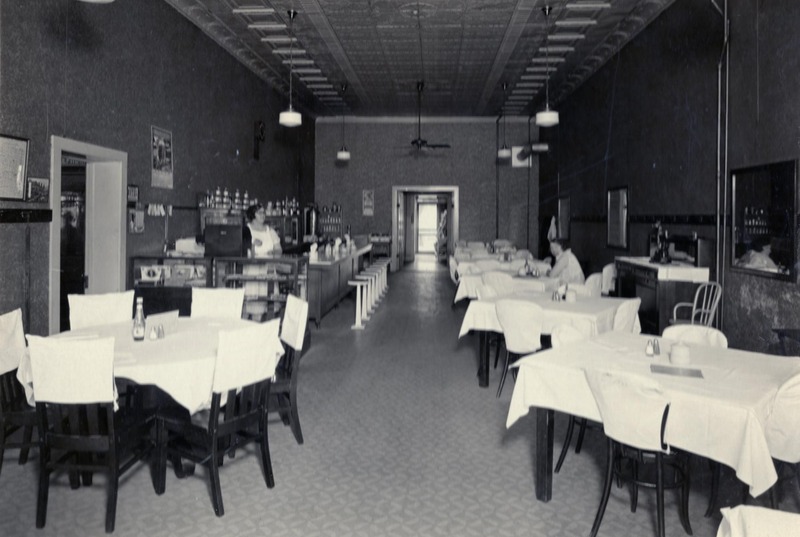 During these years they operated a restaurant in conjunction with their hotel. However owned by other families over the years, the hotel continued to operate under the McFarland family label. A bus line that operated from Hastings also used the McFarland as a point to embark and depart. Some families involved in the McFarland over the years included Ralph and Gertrude Sterner, Harry and Gertrude Topham Yost, Truman and Rose Sterner, and Walt and Joan Morgan Potter. Other businesses have also operated from this location. 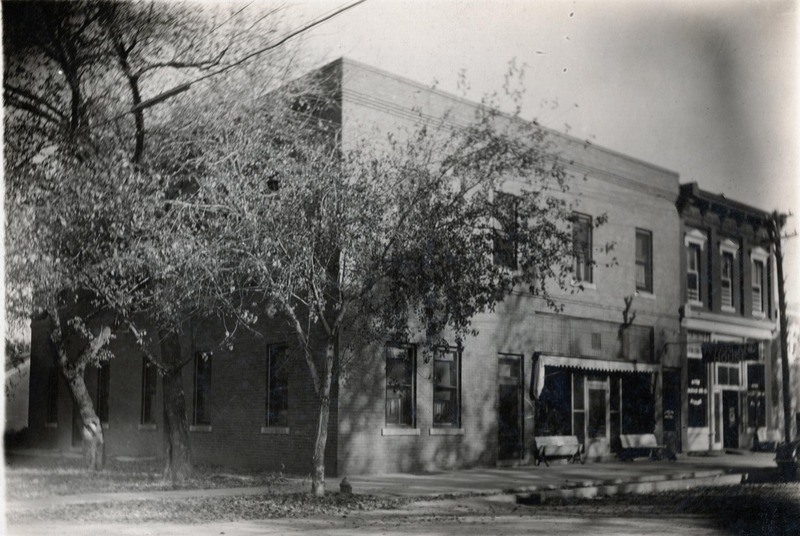 These have included various beauty shops including those of Ferne Tompkins, Mary Lukas, and Linda Buckles, as well as Gilbert Beck’s plumbing business.